A man once tried smuggling more than a dozen live hummingbirds in his pants. How would you feel if a man next to you moved too much to find comfort in his pants? 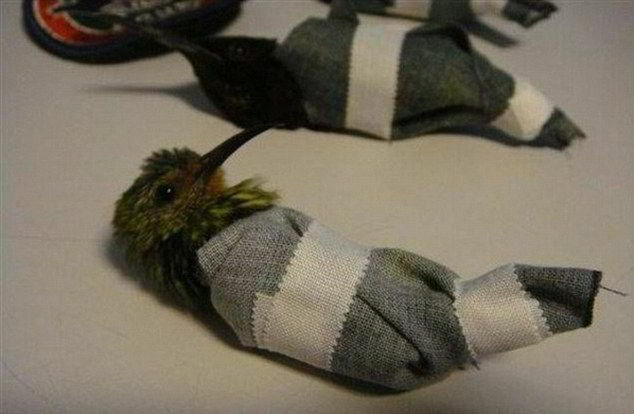 What if we tell you about a man illegally carrying and smuggling LIVE hummingbirds right inside his pants? Here’s the news that’s going to blow your mind – this Dutch passenger sewed special pouches in his underwear and tried smuggling more than 12 live hummingbirds! This happened in Rochambeau airport, Cayenne, French Guiana. How Did The Man Get Caught? This man was acting weirdly (maybe because of the sensations that the hummingbirds created right inside his pants) and due to his suspicious behavior, the French customs officers held him back and did not allow him to get on the flight. Has The Man Been Punished For His Offense? No information has been shared about him being charged for his offense. The customs officers told him to take his trousers off due to his strange movements and that’s exactly how the beautiful little creatures were seen in the pouch, wrapped in clothes, individually. Previous articleBanana Can Cure Hangover. Next articleResearchers found that plants talk to each other by making "clicking" sounds.